Categories: Recording and Mixing Drums. Tags: Audio mixing EQ tips, Kick drum recording and mixing techniques. As you have observed, the bass guitar is reduced in the sub-bass frequency range by cutting using a low shelf filter starting at 150Hz. So the sub-bass would be primarily composed of kick drum fundamental frequencies. 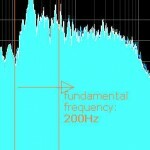 If you do not know how to determine these fundamental frequencies you might want to read this tutorial on musical instrument frequency range analysis. 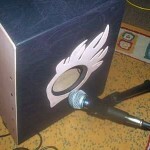 The kick drum spikes are aimed to be at 80Hz and the bass guitar is centered at 200Hz. The result of this mix is that the kick drum appears strong in the sub-bass while the bass guitar notes is still providing the necessary groove in the mix (bass notes clearly audible even in smaller speakers due to the boost at 200Hz). 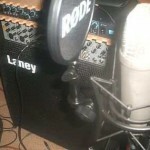 The resulting kick drum sound is very common in country music genre. 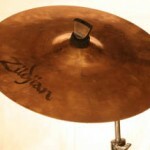 In jazz music, the sound of kick drum and bass guitar combination is different compared to pop, rock and country music. For example, it is normal for the jazz music to have a complete absence of sub-bass guitar frequencies as jazz bassist and drummer tends to be an instrumentalist/soloist so they would always be playing solo/emphasized notes all the time (instead of playing in common time/rhythm aspect). And the main objective of the kick drum audio mixing process is to give clarity to these two instruments. As you have observed, the kick drum spikes would sound like a “thump” instead of having a boom/deep sound common in rock and pop music. 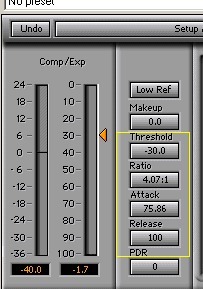 The boost of +3dB can be changed to +4dB or so on (let +6dB be the maximum), until you can hear a clearly defined kick sound. If you want to know the EQ settings guide for all of your instruments in the mix at one glance, you can refer to this tutorial: Complete EQ settings to Start when doing Audio Mixing. 2.) Set release time to 100ms. 3.) Set attack time to 70ms (e.g. 75ms) to have that fat kick drum sound. 4.) Set threshold to 1/6 of the maximum peak kick drum level. So if the maximum peak of your kick drum is -6dB set the threshold to -30dB in your compressor. a.) 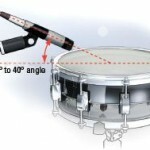 Snare Compression- How the Drum Sound Changes with Different Settings – see how a snare drum sound changes with compression. You can apply the same concept with kick drums. c.) Audio Compression tips – a general guide on compressing different elements in the mix.